Have you ever had a question regarding your Google Analytics data, but you have no idea where to dig in to find your answer? The Google Analytics Intelligence feature allows you to easily ask questions about your data in plain English. Answers to your questions are fast, understandable, and provide opportunities to dig in further through linked reports. Through simple questions in plain English, you can leverage the Google Analytics Intelligence feature to discover insights within Google Analytics without being a data guru! What is the Google Analytics Intelligence Feature? With today’s accessibility to data within Google Analytics, the interface can be overwhelming for users that don’t typically work with data all day. Google’s language processing technology now supports the inclusion of a user friendly feature within Google Analytics – the Google Analytics Intelligence Feature. 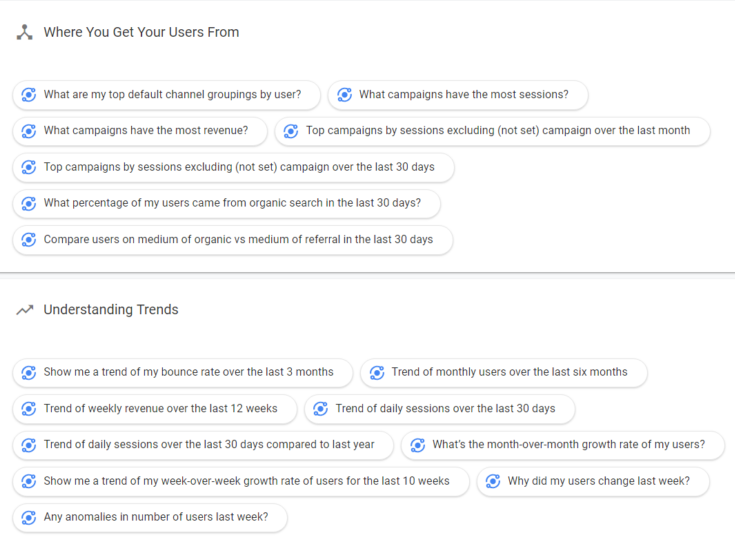 Through basic queries, Google Analytics users can ask the interface questions about their data, ranging from basic performance to understanding user behavior to measuring goals. The Intelligence feature is accessible from the Google Analytics home page. Simply click on the Insights button, and the Analytics Intelligence panel will expand. How many users did I have last month? What pages do users spend the most time on? What countries do my users come from? After asking a question, the Intelligence panel returns a digestible answer, often complete with a visual. The panel also includes an option to go to the report that the answer was pulled from. This allows users to dig deeper into the context behind the simple answer that the Intelligence tool has delivered. Additionally, example follow up questions are provided to enable users to dig deeper within the panel itself. Not Sure What to Ask Intelligence? 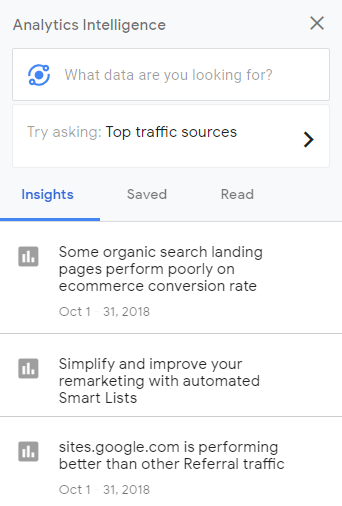 Google Analytics offers a wide range of recommended questions under the Insights on Demand section of the panel. These questions are grouped together based on category, and can provide you with the answer to a question with one simple click. Question categories include understanding trends, geographic analysis, and measuring your goals. Many users periodically visit Google Analytics with the same questions in mind. To avoid having users search for the same questions again and again, the Intelligence panel allows users to save insights that they will revisit in the future. Saved insights = saved time! Saved insights create a more time efficient process for users revisiting an insight or visiting an insight found by another user within the Google Analytics account. The Intelligence panel further saves any insights that you have previously read under the Read feed. Read insights ensure that you maintain access to insights that you might have forgotten to save. How many users visited my site in April vs. May? Asking questions comparing different time periods will allow users to quickly understand changes that are happening within data that are not easily seen within reports. Perhaps one of the most useful features of Analytics Intelligence? Anomaly Detection. Analytics Intelligence uses a statistical technique to identify “outliers” in time-series data for a given dimension value or metric. 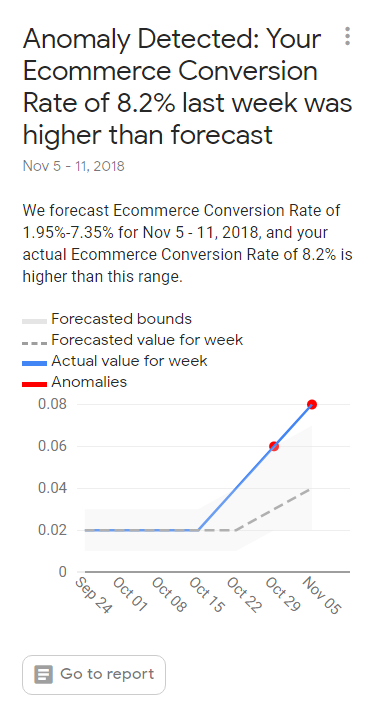 In turn, Anomaly Detection will present you with Insights such as the example above, and help you take action with follow up questions or quick links to reports within the interface. Want to get more information on the process behind the scenes? Read Google Analytics help article here. Did I say there were no bad questions? Let’s revisit that. There are instances where Google will not understand your question. This often stems from the inability to understand the wording used to pose the question. 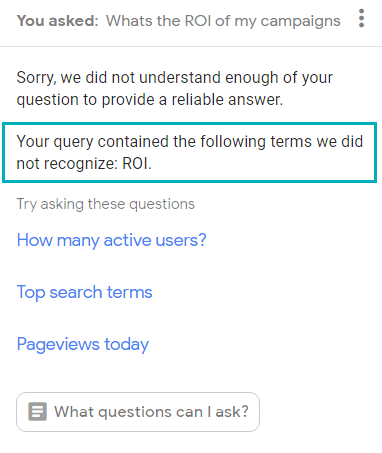 There are similar instances where Google understands your question, but lacks the historical data within Google Analytics to answer your question accurately. Quality of data = quality of answer. The Intelligence feature can only return answers that are as good as the data that is collected within Google Analytics. For example, if Goals are not being properly tracked, an answer to a question about conversion rate will not be entirely accurate. The Why? While the Intelligence feature is great for quick insights, it does not provide context into why certain trends are occurring within site data. Insight into why trends occur requires deeper understanding of users and data. Want deeper insights? 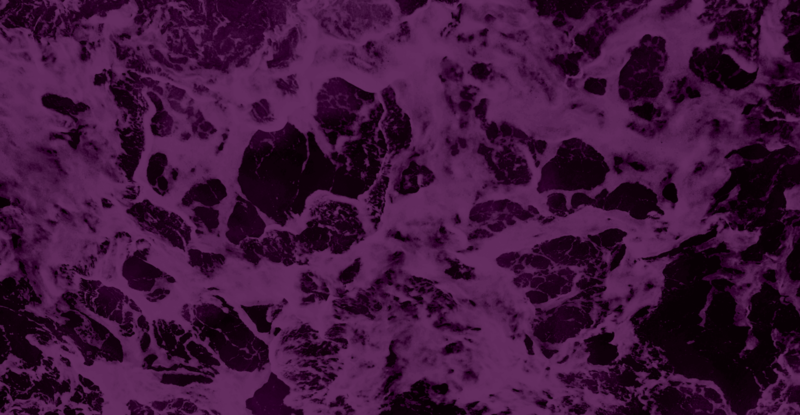 Checkout five major themes that should guide your data analysis. Forecasting. Currently, answers delivered within the Intelligence feature are solely based on historical data. This means that questions regarding forecasting cannot be answered… yet. Explanations. Google Analytics bases usability on the basis of a foundational level of understanding for GA across all users. This means that the Intelligence feature will not spell out the meaning of certain terminology that is used to display an answer, as it will assume that users have that existing knowledge. e.g. If you don’t mention the metric AND dimension in a query, Intelligence will just guess. Intelligence needs context to answer its best. e.g. Say you have an Event called ToBuySomething and you ask Analytics Intelligence “How many users bought something?”, it won’t know what you are looking for and will likely give you an error or answer your question inaccurately. Without honest and detailed feedback from real people using the tool, Intelligence won’t learn and improve. So leave feedback! Whether that’s rating “Yes/No” when Intelligence asks if an answer was helpful or sending the product team a message directly by selecting “Send Feedback“. Want to know the ins and outs of your data within Google Analytics? The Google Analytics Intelligence feature is a great place to start. Giving users the ability to ask questions on the fly, the Intelligence feature will revolutionize the way that all users approach analysis. Ask away!